This is a photograph of a group of Gore ladies and one little boy (pictured at the front, possibly one of 17 boy scouts who assisted), who raised £93 by selling flowers in the streets in aid of the 'Brave Belgians'. This was the first of the flower days held in Gore in support of the Belgian Relief Fund. 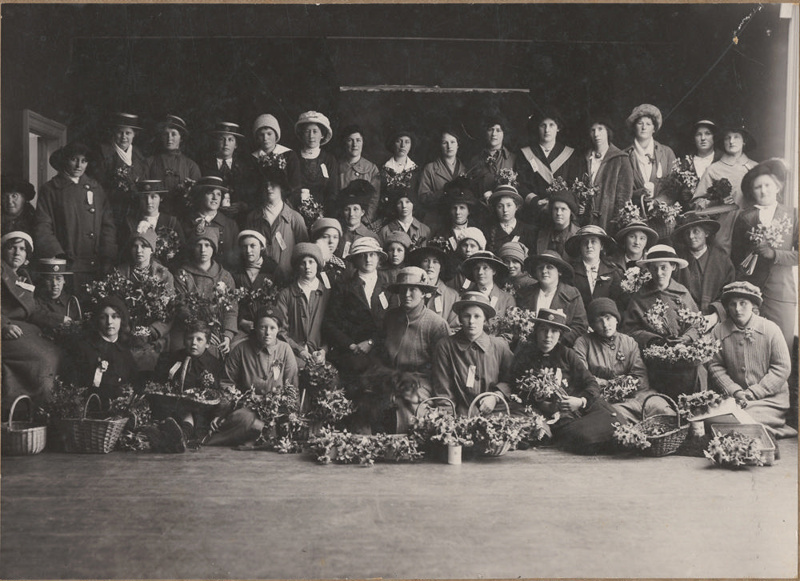 New Zealand women throughout the country rallied to send assistance to the Belgium people who had been invaded by Germany. By early 1915 New Zealand had sent £37,000 to London for Belgium. 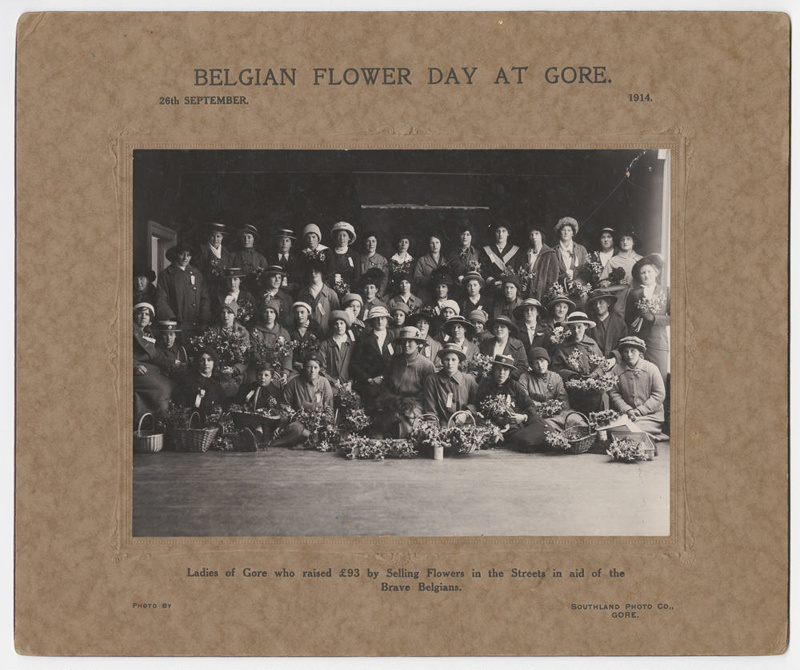 The Gore women in this photograph made a contribution to this effort, not just by holding their own flower days but by sending flowers to contribute to flower days held in Dunedin.